Hi there! 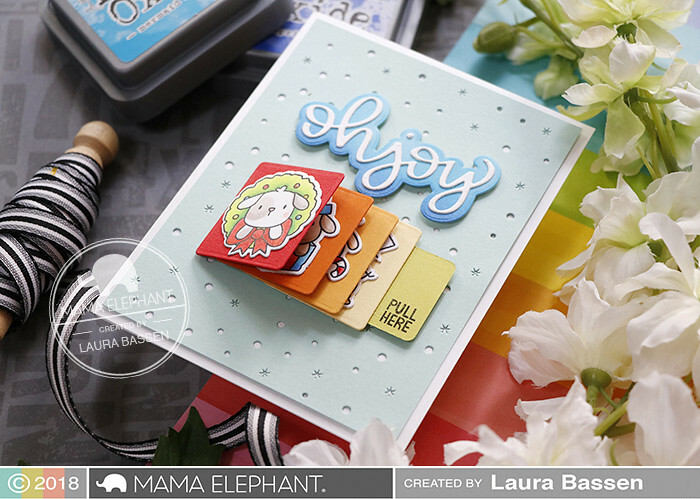 Laura here and today I have a fun project to share featuring the Flip Slider Creative Cuts. For this card I used the Yappy Woofmas stamp set for the images as well as the coordinating Yappy Woofmas Creative Cuts. 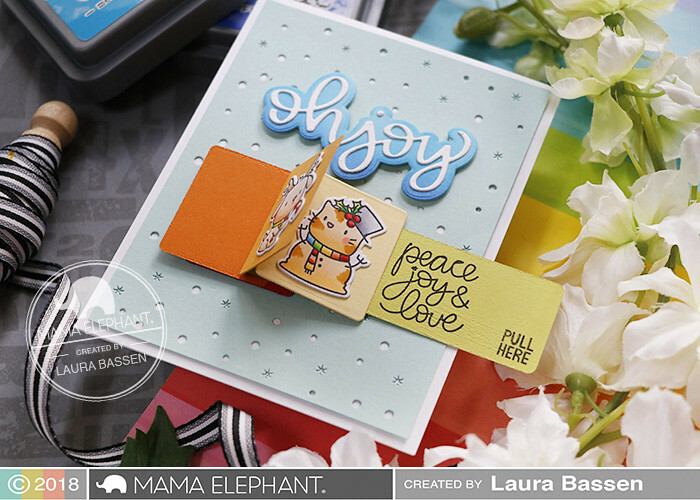 For the sentiment I used the Oh Joy Halo Script Creative Cuts. For the background I used the Galactic Cover. On the inside of the pull tab I stamped a "surprise" sentiment from Meowy Woofmas. Hope you enjoyed this tutorial! Thanks so much for stopping by! 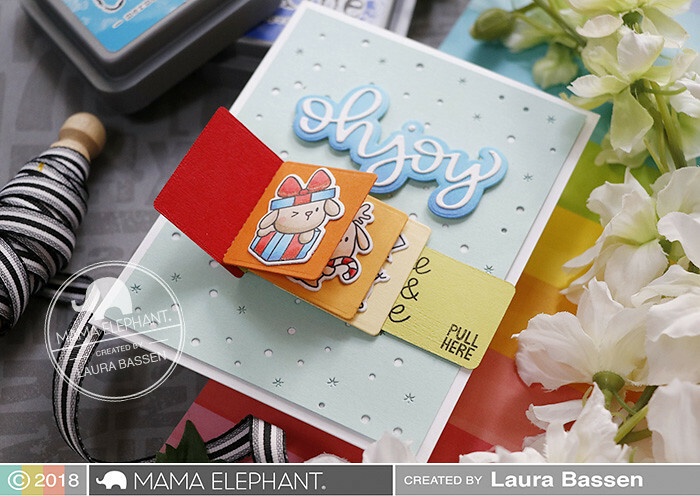 This Flip Slider is absolutely too cute! This is super cute. 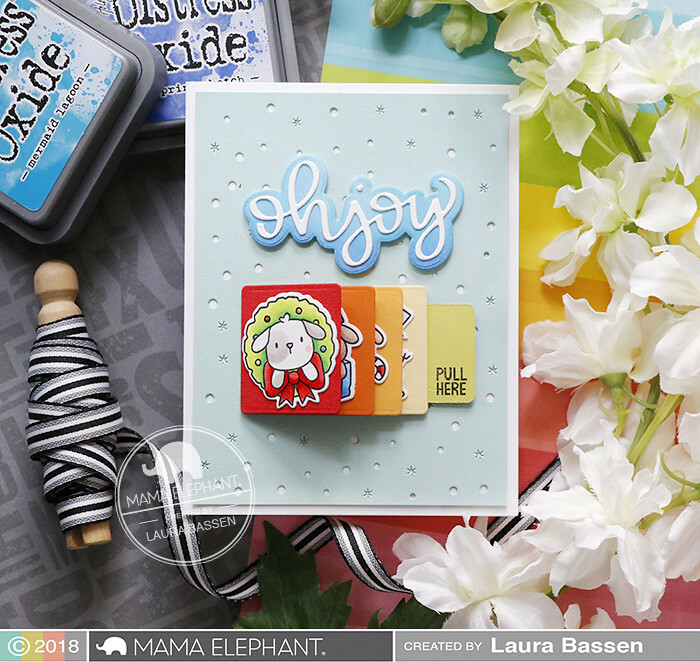 I have the stamp and slider die but I have to clean up a spot to be able to make a card! This is such an AWESOME card!!! I love it Laura!!! Laura you've done it again! Love, love, love the card. Your video was so easy to follow I really appreciate that tfs.